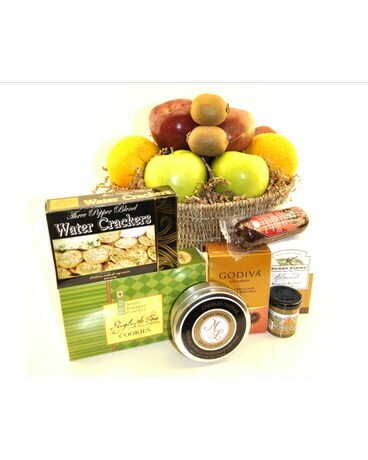 A bountiful assortment of scrumptious gourmet snacks and fresh fruit. Exact contents and basket design may vary. Similar basket for out of town delivery.